Love and Theft, an American country music duo, is composed of Stephen Barker Liles and Eric Gunderson, both of whom sing lead vocals and play guitar. Love and Theft originally formed as a trio, along with Brian Bandas (who also sang lead and played guitar), in Nashville, Tennessee, in 2006. 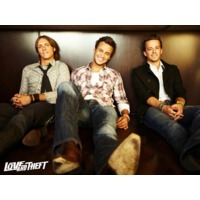 Signed to Lyric Street Records subsidiary Carolwood Records in 2009, Love and Theft made its chart debut in early 2009 with the single "Runaway", which has reached Top 10 on Billboard Hot Country Songs. The band's debut album, World Wide Open, was released on August 25, 2009.